Lord Ganesh, son of Lord Shiva and Parvati is referred to as the god of success in Hinduism. He has a human figure with an elephant head. There are many legends as to how he got his elephant head. All those stories however have one thing in common; that Lord Ganesh ended up being a highly respected deity. 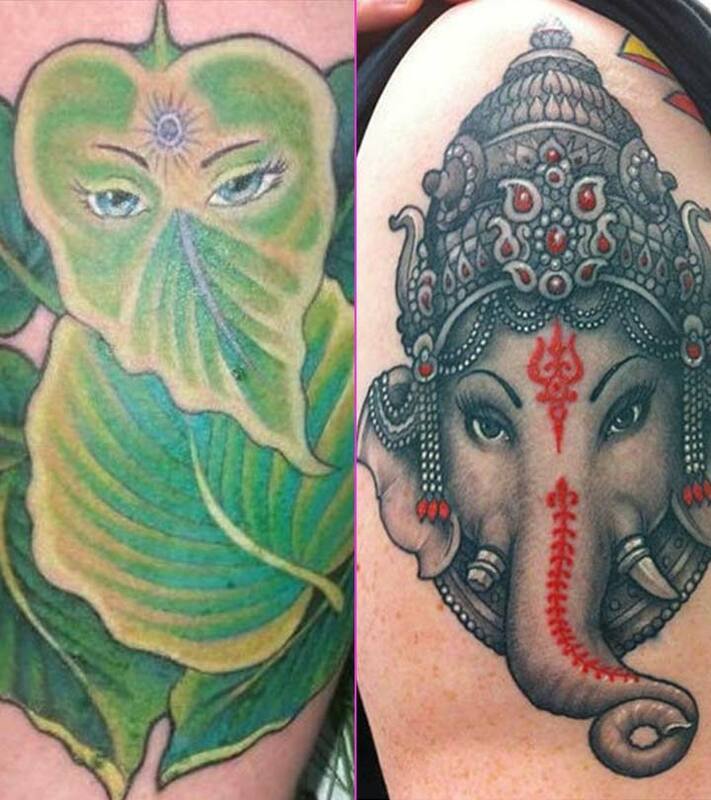 While looking for a tattoo idea, Lord Ganesh is definitely a good option. 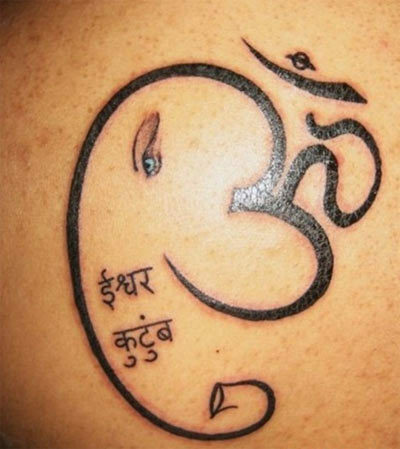 Whether you are a Hindu or not, having the God of Success inked on your body would definitely bring nothing but good luck. Here are a few tattoo ideas. 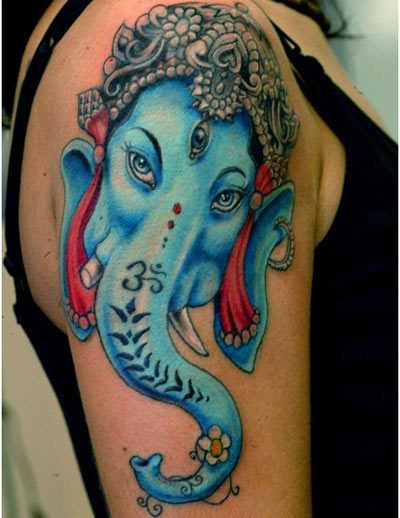 A Ganesha tattoo with paintbrush strokes would be a very artistic tattoo to ink. It could be inked in a small scale and on any part of the body. The color scheme could be just black of colors of varying shades. Lord Ganesh is depicted with a lot of colour. To capture him in his entirety, you could ink him in full colour on your body. The varying colour of his ornaments and clothes would make the tattoo very lively. Red is a very auspicious colour in Hinduism. This is because red is a powerful and expanding colour that can give out divine energy. 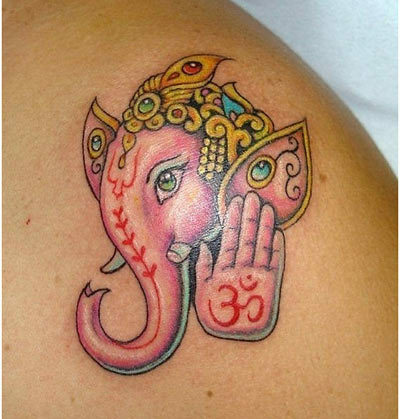 A Ganesh head with touches of red would be a very auspicious tattoo to ink. Legend goes goddess Parvati wanted to bathe and thus made a guardian being from the dirt and asked him to guard the door. 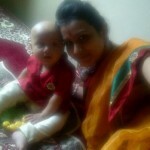 When her husband Shiva came, he was much stunned to see an unknown being at his home restricting him entry. Enraged he cut of his head. Since Ganesh was Parvati’s own creation, she bemoaned his death tremendously. Shiva to make it up ordered his guards to bring the head of the first living being they encountered. Thus Ganesh acquired his elephant head. This head is a symbol of immense celestial power, and indeed a great tattoo to have. 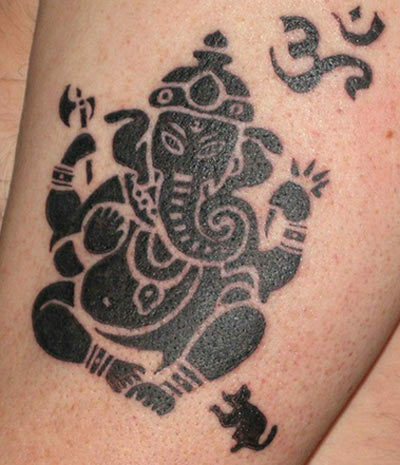 Just a Ganesh outline in black would be a simple tattoo to ink. Many a time’s, however, simple tattoos convey a lot. 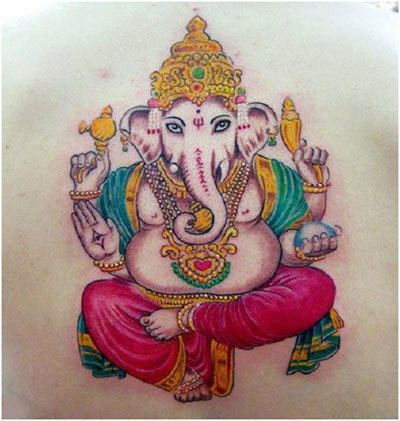 A Ganesh tattoo, though simple would convey a host of meanings, symbolisms and legends all of which would be great conversation topics. Tattoos should have an innovative element to them. They are after all permanent body art and thus should be chosen with a lot of care. 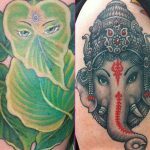 Lord Ganesh’s figure could be created out of leaves to make the tattoo look different and unique. Ganesh Chaturti is a day when Hindus celebrate Lord Ganesh’s birthday by establishing a statue of him at their house and conducting prayer ceremonies. 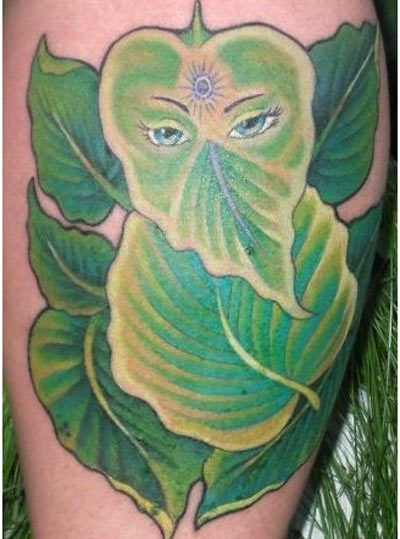 Lord Ganesh tattooed across your back would be a wonderful place to tattoo this very powerful deity. The tattoo could be done in color to make it look vibrant. ‘Om’ is a very powerful word in the Hindu tradition as the word forms a divine connection. A word this powerful inked together with a God even more powerful would be a wonderful tattoo to have on your body. 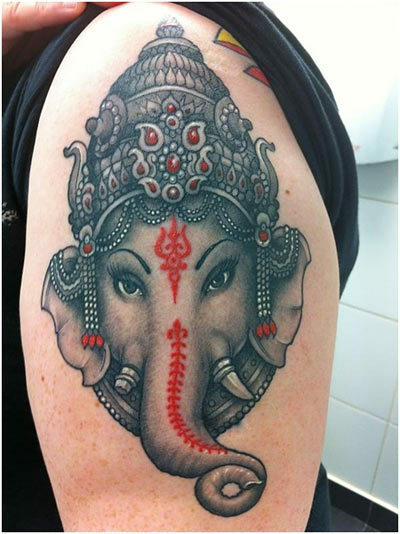 This On Ganesh tattoo is believed to bring great luck! Tattoos look best when inked in black. 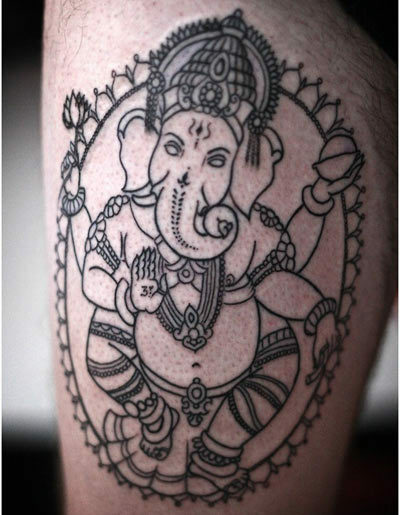 A Ganesh tattoo inked in black would thus look perfect. 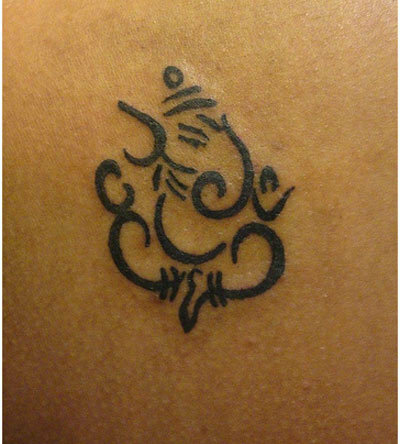 An ‘om’ sign can be modified to look like lord Ganesh by extending the upper part of the letter to form a curved trunk. This tattoo would have a creative element to it. 8000+ tattoo designs to ink on your wrist. Find the best for you on ‘Tattoos App‘!